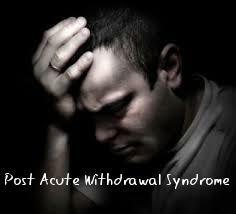 Posted June 11, 2014 by iwadmin & filed under Iboga Retreat, iboga treatment. Whether you have undergone an iboga journey for addiction, depression or for personal exploration at Iboga Wellness Center, there are a few principles you will have learned that can be put into practice in everyday life for your own happiness. Acceptance is one of those principles that we will touch on in this post. Please see our other “Aftercare” blog posts where we touch on many other helpful principles. We all have that acquaintance, family member, boss or co-worker that can really get under our skin. 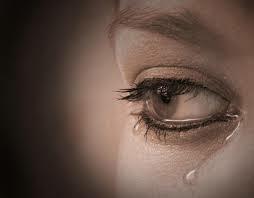 We ask ourselves, “Why are they like that?” “Why did they do that?” “How can I make them change?” But the real question is, “is it their fault or my fault that I am upset about it?” The answer is never easy to hear but simply put, it is your fault. We each have to take responsibility for our own feelings and thoughts. You only have control over yourself and how you react to things. You have no control over other people. So instead of trying and failing to change them which will only hurt you, just accept them and their actions. Is it really that simple? Yes, it is. By not accepting them and their actions you will only accomplish one thing, destroying your own peace. 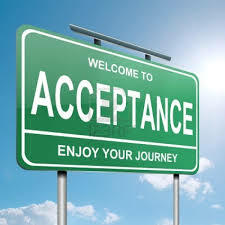 Acceptance is just one truth and lesson of many in what we call the “Art of Living Life” at Iboga Wellness Center. So the next time you find yourself upset or disappointed with another person, try practicing some acceptance and before you know it, it will be a habit. And always remember that life is a gift. Love yourself enough to live your life being happy. There are two indole alkaloids within the iboga root that have been studied for treating pain. The two alkaloids that have shown the highest analgesic effects are Tabernanthine and Ibogaine. This is also a reason why the use of the iboga root total alkaloid extract (TA) can be more useful than Ibogaine alone. This can be an alternative to morphine and other narcotics that have the potential to cause respiratory depression as well as addiction. In fact, iboga is considered an “anti-addictive” substance. We have noticed many people that came to an iboga retreat for addiction, spiritual exploration or depression and they have noticed that any chronic pain also suddenly was better. 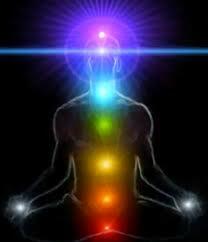 Posted March 24, 2014 by iwadmin & filed under Iboga Retreat, iboga treatment. Trust is a very important component to having an amazing, life-changing iboga retreat. When you trust your provider and feel like your are in a safe and comfortable environment, you will calm your mind and focus on the “task at hand”. The task is connecting to your soul and finding out your true life path. 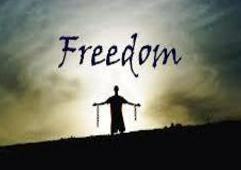 It is to de-program from past beliefs and learned behavior and re-program yourself into a new, positive way of life. It is important to research iboga and ibogaine facilities with that in mind. You should ask yourself, “Where would I be most comfortable?” and “Which facility do I resonate the best with?” and go with your heart. A good iboga or ibogaine retreat center will take the time to answer all of your questions and concerns. The more questions you ask and the more research you do, will help ensure yourself that you are making the correct choice. Some people may feel more comfortable with a medical facility, others may feel more comfortable with a shamanic center, or a mix of both. Trusting the provider that will guide you, will help with unblocking your mind from fear. Being guided through an iboga journey can be a priceless self adventure and should always be done in a positive, tranquil environment. Posted February 3, 2014 by iwadmin & filed under Iboga Information, iboga treatment. 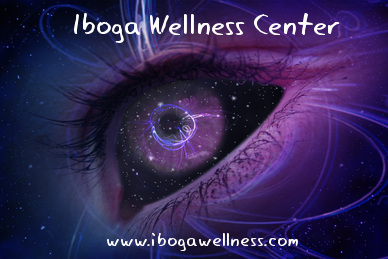 People from all walks of life come to the Iboga Wellness Center. Some people come for problems with addictions, depression, anxiety, PTSD, belief systems, or all the above and everything in between. All of these problems are manifestations of a one larger, underlying core issue which is losing control of your own thoughts and how we perceive them. Instead of focusing on the “why” (such as making decisions based on past trauma and reliving them over and over or past trauma belief systems around who we are), it can be beneficial to focus on the solution. What do we want rather than what do we not want. Iboga heals many things in the body and brain physically speaking, but it is important to realize the mind, body, soul are connected and all a part of who we are. Iboga does have the properties to reset our brain chemistry back to the proper baseline state. Reconnecting with yourself, soul and managing the mind is necessary to heal. Iboga goes to work on all 3 mind, body, and soul. At Iboga Wellness Center we talk a lot about regaining the power of managing your thoughts and what we do with our thoughts. It is something that becomes a habit once people realize that your thoughts are like trains coming and going at a train station. You can choose which train to get on and which train to let pass. You have the power to choose whether that process is very complicated or very simple. 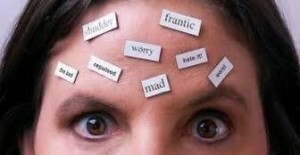 During an iboga retreat you can learn so much about yourself and break the cycle of negative thinking. The process can have its ups and downs but one thing is for sure, learning to manage the mind is the most important skill we can learn. The use of psychedelic substances in the treatment of conditions such as depression, post traumatic stress disorder, obsessive compulsive disorder, addiction, and schizophrenia have been studied extensively by scientists around the world. Some recently published studies have tested the use of LSD to treat alcoholism and the use of MDMA to treat post traumatic stress. One substance in particular that has been studied in a wide range of areas is Ibogaine, which is one isolated alkaloid within the iboga TA or iboga rootbark. Research studies regarding the use of psychedelics for the treatment of mental disorders and conditions are making a comeback, and the results thus far are more than promising. Shamans and indigenous tribes have known of the healing properties of their sacred herbs for centuries, but now science may be catching up with what has always been known by shamans. Scientists tend to focus on synthetic psychedelics and observe changes in the brain regarding neurotransmitters such as dopamine and serotonin and document various physiological and behavioral changes. Shamans, by contrast, offer a spiritual approach based around working with the “spirit of the plant” and “breaking open one’s mind” to help achieve the individual’s goals of increased wellness. Spirituality is commonly left out of any scientific study, but shamans know there is a direct connection between the physical, mental and spiritual aspects of a person as a whole. The difference in the schools of thought between science and shamanism may never mesh, but each new study conducted and published is a step in the right direction to help educate and spread awareness. It is important for any potential participant in iboga therapy to understand that partaking in a psycho-spiritual therapy to treat depression, anxiety, PTSD, or other mental health concerns doesn’t result in an instant solution. Iboga and Ibogaine are not “magic pills” that relieve all symptoms and struggles. While the properties of iboga and ibogaine can prove instrumental in sparking realizations, and aiding in the process of reprogramming thought patterns, it is merely one part of the entire experience. The best results of an iboga therapy come when the participant is committed to the process, and prepared to maintain an open mind and heart while focusing on being an active player in their own healing. Each individual’s process can look different. Some may experience an immense amount of progress in a short period of time, while others need more time. No journey with iboga is the same, which is normal and expected. The best way to describe iboga is a “tool” for helping yourself. At Iboga Wellness Center, we view iboga as more of a visionary herb healing plant instead of a “psychedelic”. We treat people on a mental, physical and spiritual level. Providing attention to all three are important and necessary during the iboga therapy process. 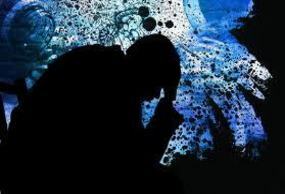 How can iboga treatment help with Post Traumatic Stress Disorder (PTSD)? People who have participated in the iboga process to work through PTSD often describe the experience as comparable to 10 years of therapy compacted into a week. Many people who have undergone iboga treatment in the hopes of easing symptoms of PTSD, have said that the process gave them a chance to relive a traumatic event from an observer’s point of view. During the retreat they were able to process the situation from a different perspective, forgive, and release the pain of the traumatic event. The iboga process helped them to move on, and experience closure for the first time. While each individual’s journey is different when processing PTSD, iboga has proven a beneficial step in many of our guest’s experiences. Iboga therapy has been known to assist many individuals with their journey with overcoming anxiety and depression. Iboga treatment not only helps with detoxing the body, but the mind as well. For those approaching the iboga process with an open mind and willingness to work on themselves, it can be a powerful tool to aid in a path to increased wellness. Participants can explore the roots of each of these inflictions with a deep focus to determine what needs to be released and the path to move forward in a safe and supportive space. Additionally, experiencing the iboga process can provide a detox process for the body to rid itself of any anxiety or anti-depression medication that had been previously taken to work on these struggles. Life is too short to not live it to its fullest. Living life is an art. Iboga is here to teach us about ourselves in a deep way and show us how to live our best life.